Brilliant, luminous light accents for garden and pond! Custom lighting for garden and pond! 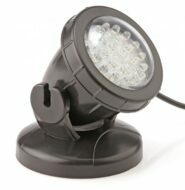 This set, consisting of 3 compact LED spotlights, is ideal for flexible use; it can be set up above the water surface as well as underwater.